MegaMan 8 is one of the best (in my case) MegaMan game out there. Great graphics, Good music, Great plot. You start out by finding out Dr.Wily has planned to take over the world. You have 8 Bosses to defeat: Tenguman, Frostman, Clownman, Grenademan, Swordsman, Astroman, Aquaman (A.K.A. Handsome guy), and Searchman. Enough reading, start playing. Have fun!!!!! Megaman is a good series so when it comes time for the eight installment it's sure to be right? Well unfortunately its not. 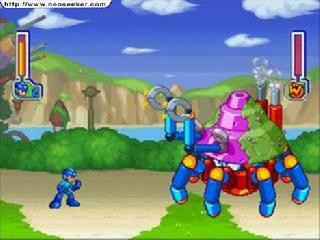 If you've played 7 imagine an zoomed out camera so now everything's smaller and oddly Megaman doesn't look as nice. The first in the series to include voice acting the move fall flat like a pancake. 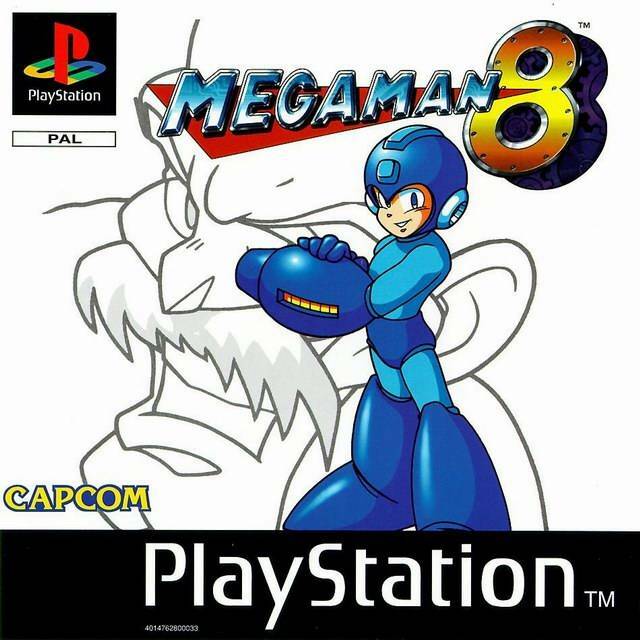 With the two most infamous robot masters included in this eight game, Megaman needs a miracle to help him take on Dr Wily for the eight time. If you can ignore the voice acting and not that great soundtrack its still worth playing even a little bit. Megaman & Bass share a resemblance to this game so if anything play that instead. Now you can add videos, screenshots, or other images (cover scans, disc scans, etc.) for MegaMan 8 to Emuparadise. Do it now!